I arrived at the beach just as the tide was starting to go out. 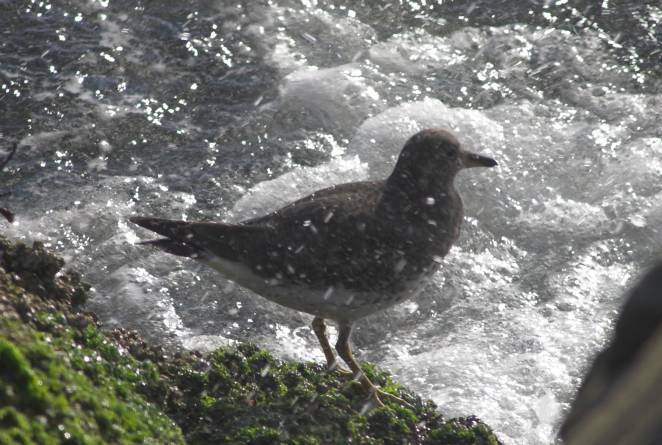 A flock of surfbirds and a few black turnstones had been hanging out on Sage Rock during the high tide. As the beach became exposed, they flew over and started feeding in the exposed intertidal rocks.